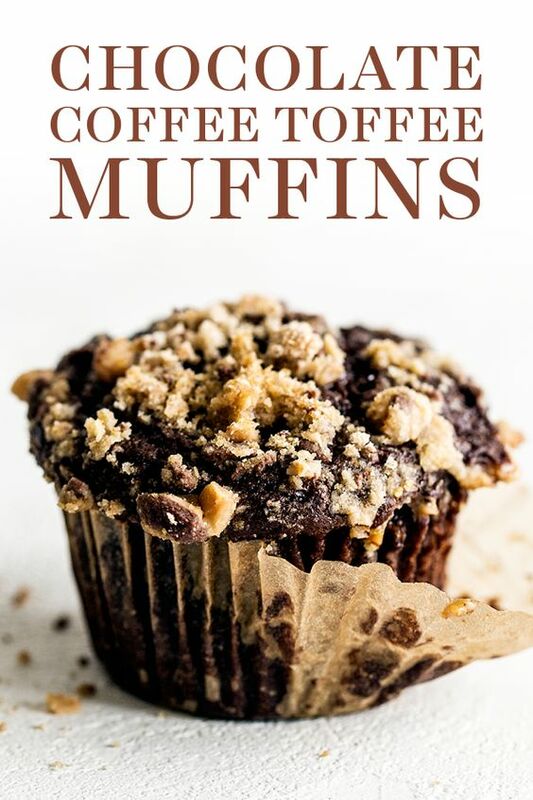 Chocolate Coffee Toffee Crunch Muffins feature a mocha muffin base that's studded with chocolate chips and topped with a crunchy toffee streusel for the best combination of flavor and texture! *This can be found at many grocery stores and gourmet food stores. If you can't find it you can also use dark roast instant coffee.